ROBERTO!!! 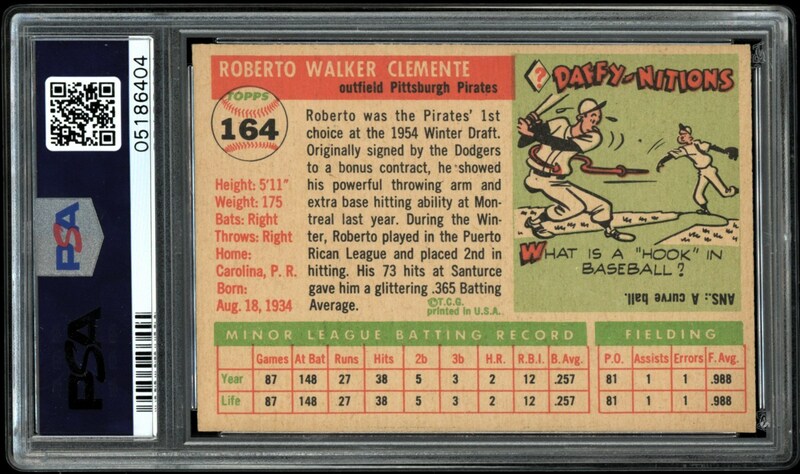 Clemente amazed baseball fans with his blazing line drives, daredevil base running and laser-like throws, his cards and memorabilia are now lighting up the sports collectibles market. Clemente cards in high grade are on fire. Clemente was a hero on and off the field. After stellar designs in 1952 and 1953, Topps missed the mark in 1954 and consumers let the company know it. 1955 would serve as a resounding victory for Topps. The horizontal card design and inset player depiction broke new ground and captivated both new and existing collectors. Offered here is one of the games most beloved and treasured players, Roberto Clemente's 1955 rookie card in an outstanding PSA 8 NM-MT holder. With only 15 higher graded examples this card continues to be the cornerstone collectible for this Hall of Fame superstar. The example presented here certainly doesn't disappoint the enthusiast with a spectacular image, pristine looking color, dazzling white borders and sharp corners. If you are seeking a strong rookie card of the incomparable ROOKIE!!!... 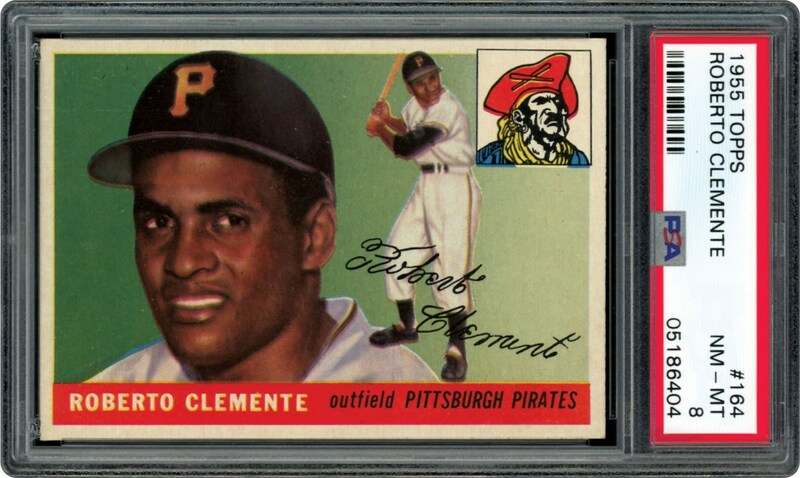 Roberto Clemente to augment your collection to the next level, this is the one for you! One of the hobbies most sought after cards offered here.